High development in internet technology has made photo sharing as more flexible and faster. However, with the easiness of sharing photos online, the security for copyright of the images shared has become a serious problem for photographers. The images are commonly too easy to be accessed by anyone else in the internet and to be downloaded by just anyone. Therefore, everyone can repose the images which are not taken by him or herself, as if it is their own taken pictures. Hence, the identity of the genuine photographer of the images is biased. Fortunately, there has been introduced a digital tool to put watermark texts of the initial of photographer or the company issuing the photographs. Some of them are completely free so everyone can get access to this software simply by visiting the watermark maker software download providers in the internet. Most of free watermark tools are downloadable online. In making a watermark to protect your photos, you need to download the software, like that of Batch Picture Protector. This tool is available in both free downloadable and premium versions. This tool provides protection to your artwork or digital images with a professional transparent watermark objects. The possible watermark objects to be made through this tool is the combination between illustrations, texts and graphics. 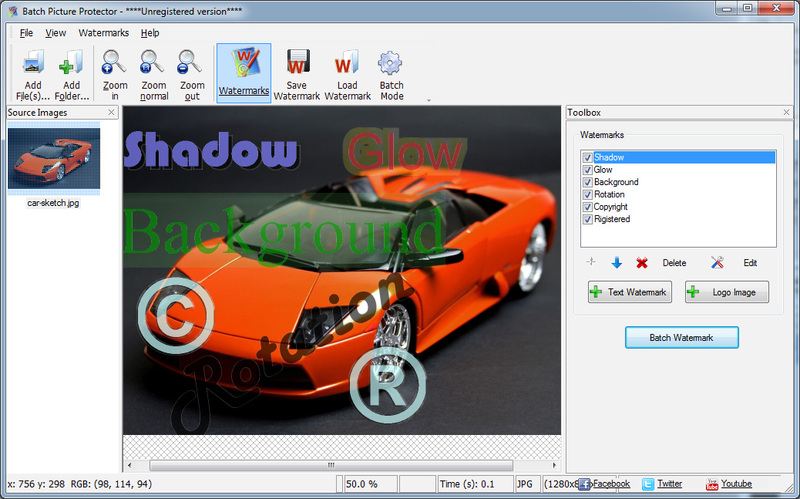 This tool can also be integrated with your image editing software. In integration with image editing tool, The Batch Picture Protector can make a watermark contained of your company copyright, logo image or website URL. The use of this water mark maker tool is highly suitable for professional artists, designers and banner makers. 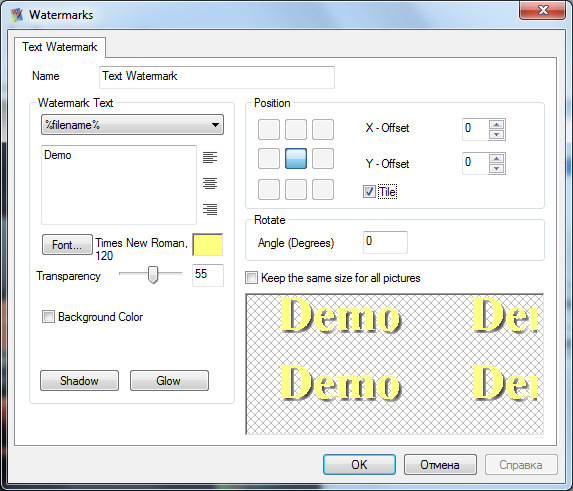 Once the watermark objects are made with this software, they cannot be removed with any watermark remover tool. This is because the watermarks made with this tool are permanent. With this feature, anyone can safely publish images on internet web galleries without worrying about the image copyright. Batch Picture Protector is compatible with any images formats. Once you put watermarks into the original images, you can save the watermarked file in the same format or any other formats. With the built-in watermark file manager, you can also manage multiple watermarks for different purposes.